1. CO2 has the thermal capacity of infrared absortion and re-emission to noticably influence climate – not shown at a molecular level (physics Prof William Happer states it cant do it). 2. 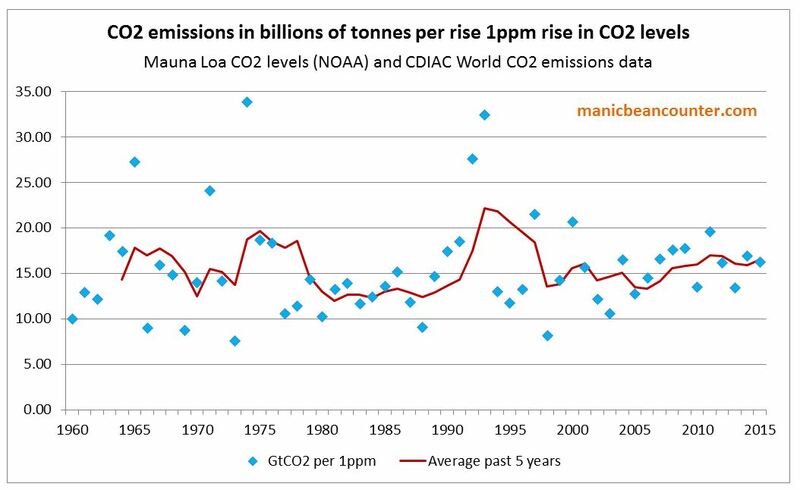 Warming is solely due to GHG emissions. Thus ignores the evidence of geology, history, physics, chemistry, and astronomy that the earths climate has changed dramatically all due to natural factors unrelated to man, and the warming of the last 300years is naturally occurring like the cooling of the 300yrs before that. 4. Man has no significant impact on climate and all this theorising is just Game playing and not science since no observations support the IPCCs computer gaming scams. Thanks for your comment. The point I am making is not about the science, but about the calculations for emissions to 1.5C and 2C of warming. My follow up post goes a bit further. In this new report the IPCC is saying from today, with CO2 at 406 ppm it will take about 700 GtCO2 to reach 1.5C and 1000 GtCO2 to reach 2C. Based on my calculations it nearer 100 GtCO2 to reach 1.5C and I was not able to figure out where the IPCC got its numbers from.